Made with honey and citrus-infused vodka selections, Florida-based Touch Vodka is the perfect mixology for your holiday party. They're an ultra-premium vodka and uniquely distilled from Florida's finest, wildflower, blended honey and American grain, and made right here in Tampa! 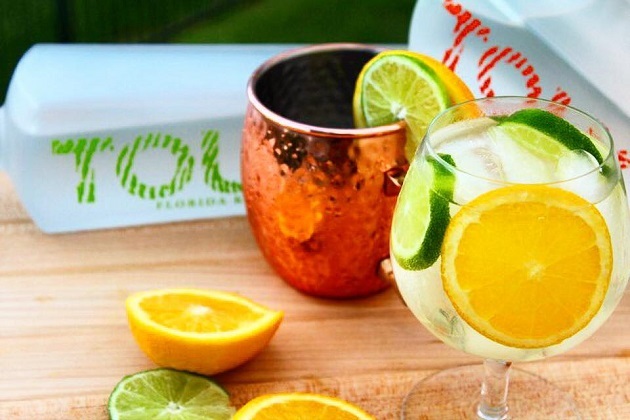 Touch Vodka has key lime, Valencia orange, and ruby red grapefruit selections that are infused with natural oils from locally-sourced fruit. The results are a unique, 80-proof vodka with no added sugar or coloring. As a result, these vodkas are not overpowering but are easily mixed with juice or any beverage. You can find Touch Vodka at upscale bars and restaurants and at local retailers. In the Tampa Bay area, you can find Touch at Total Wine and several local liquor stores. Touch Vodka is currently working on some new products that include a Legends Gin that will highlight legends in music, movies, and pop culture. It will be an ultra-premium select gin and their Nicholas Gin, also in production, will still feature the same high quality of Touch but will be at a competitive price point for the local consumer. Stay tuned as Touch makes an official announcement. In the meantime, try one of these delicious recipes for the perfect mixology for your holiday party! Stay connected to new products and services on our business news in Tampa page by registering with us on 813area and 727area, for things to do in Tampa Bay!